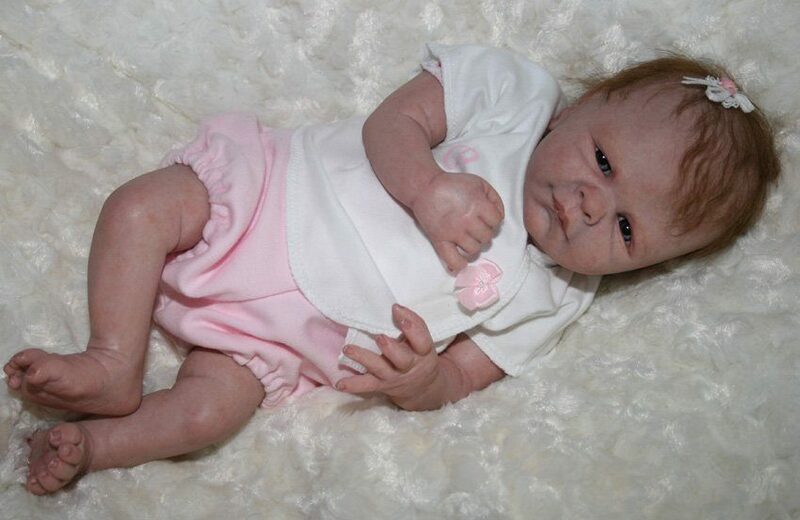 These dolls have been created by beginning with an unpainted doll kit (with only the vinyl pieces of the doll.) 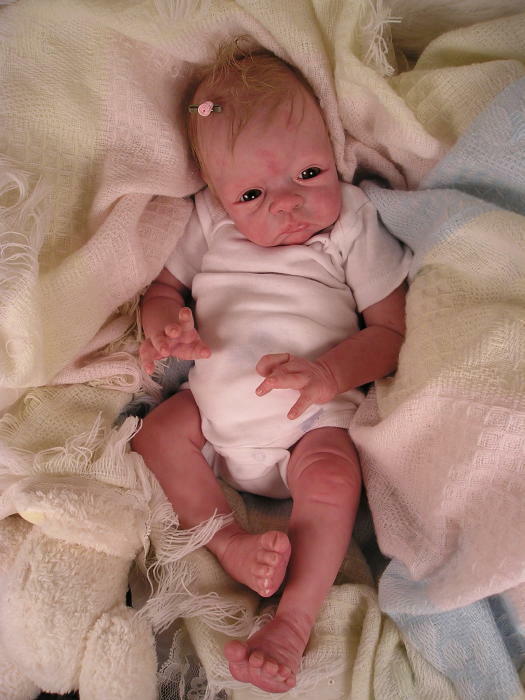 They are created by adding many layers of translucent paint, using a variety of techniques, to produce real looking skin. 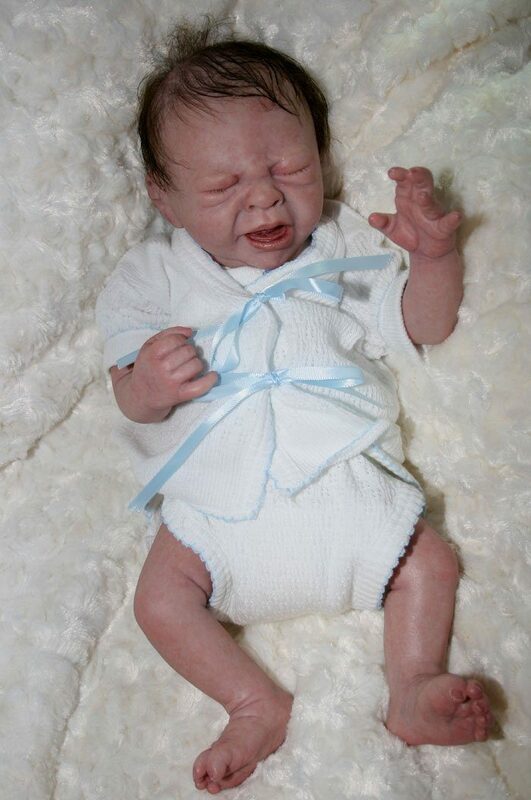 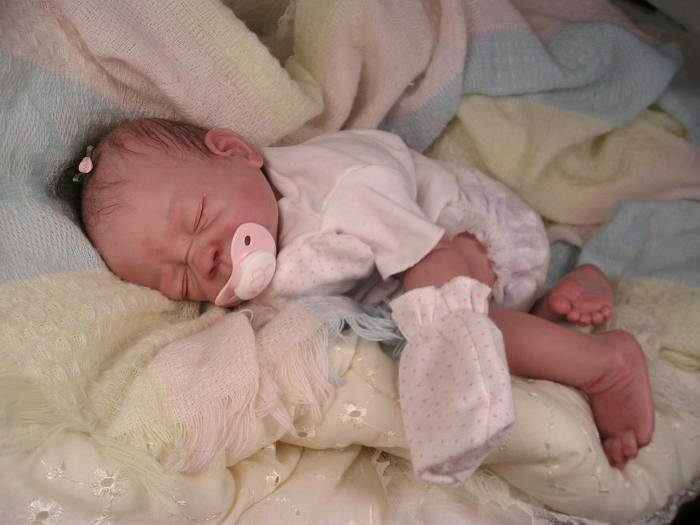 Then weighted bodies, eyes, hair, and clothing are added to give a very realistic look of a baby or young child to the doll. 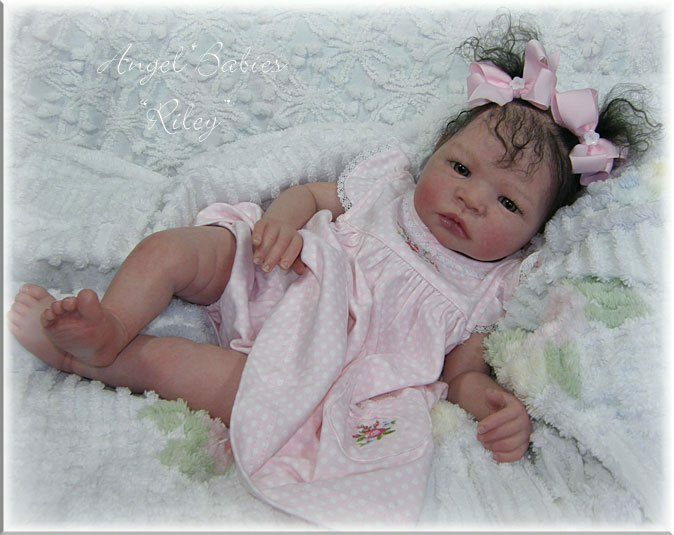 It is very time consuming to make a reborn doll, consequently our page will have more to offer at times and less at other times, so please check back often.